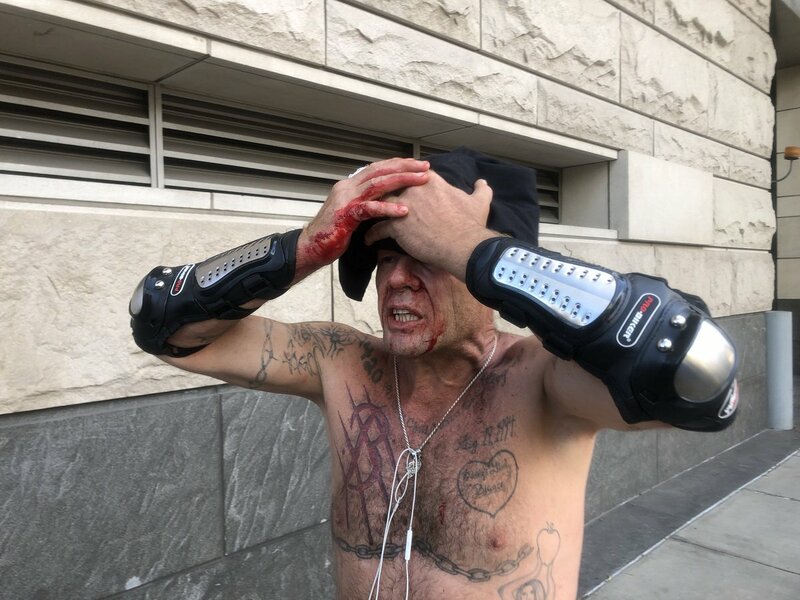 In Portland, OR, on June 30, Joey Gibson, Patriot Prayer, Proud Boys, Nazis, and the usual assortment of alt-right nationalists showed up to hold a “Freedom & Courage Rally” at Terry Schrunk Plaza at 4 pm. The event description was bizarre. It was almost Pentecostal in tone, speaking of “cleansing the streets of Portland” and finishing with a declaration: “WE WILL MARCH NO EXCEPTIONS.” They advertised that they’d confirmed participants from Washington, Oregon, California, Arizona, Texas, Massachusetts, and Florida, all the while pleading with the Portland Police Bureau for “fairness.” They had been run out of town earlier in June, apparently denied the police protection from anti-fascist demonstrators to which they’d grown accustomed. 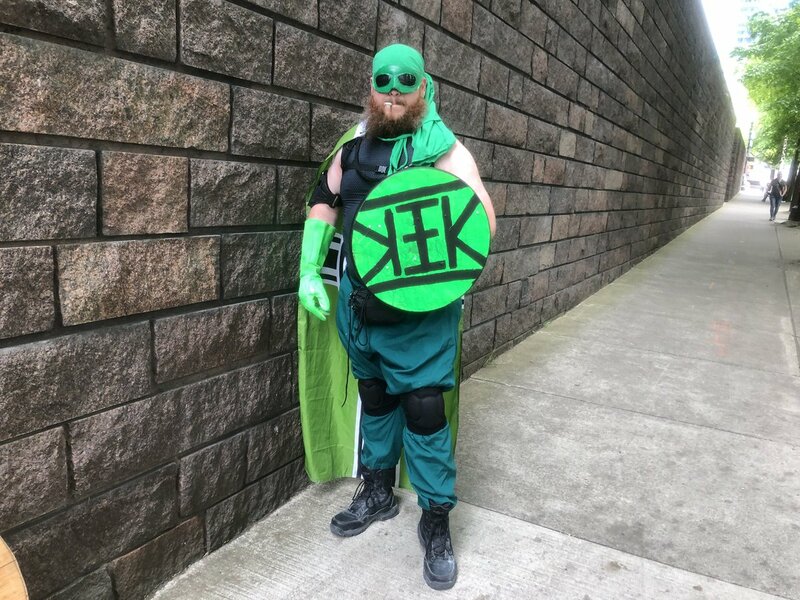 The irony of an overwhelmingly white ultra-nationalist group whining about “unfair” treatment from the police is hilarious, especially since the Portland Police riot line always faces the anti-fascists and police always attack and arrest anti-fascists—they never attack or arrest the fash. Cops and Klan go hand in hand, right? Portland 2018-06-30 from CrimethInc. Workers’ Collective on Vimeo. 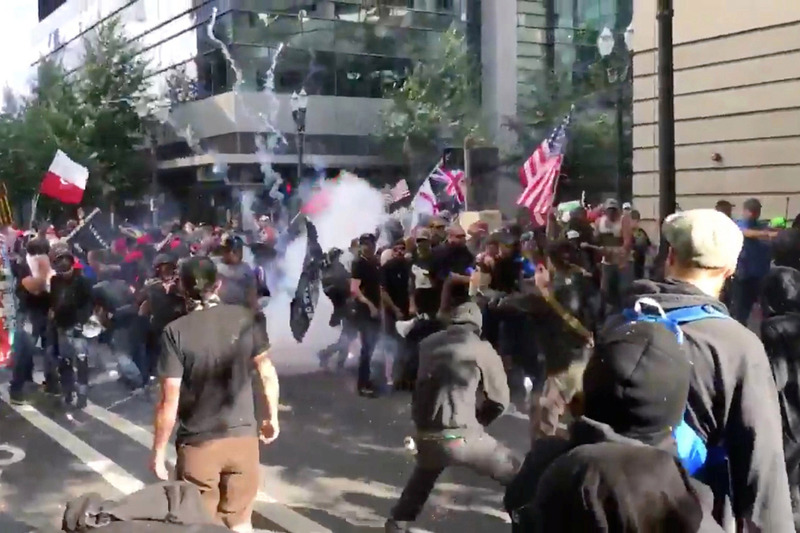 #Portland: Solidarity with Patriot Prayer Counter Protesters and Resisters! – Enough is Enough!